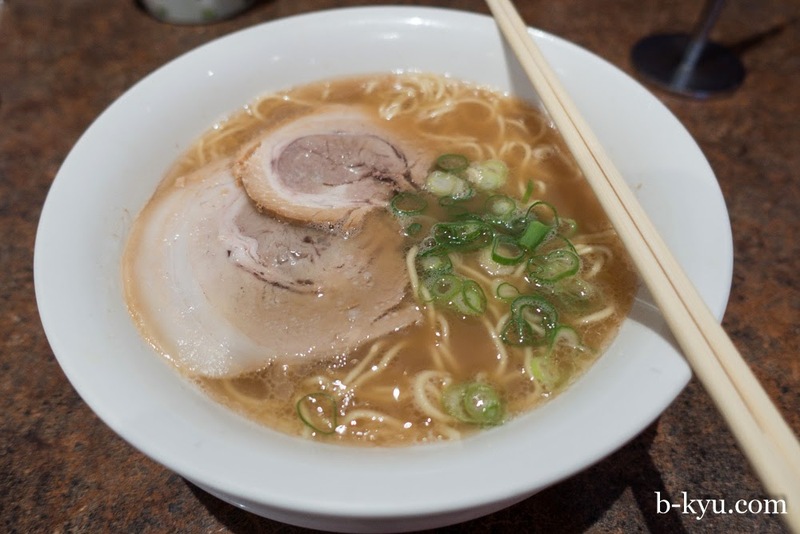 We revisit Hakataya Noodle Shop in deepest, darkest Surfers Paradise for possibly our favourite ramen bar in Australia. Maybe that's partly out of nostalgia, but it is top notch, made by Japanese folks for Japanese folks. We first stumbled upon Hakata Noodle Shop about three years back. After my parents' house, it's the first place we visit when we go to the Gold Coast. The Hakata Noodle Shop Menu is brief: Japanese ramen done four ways and a couple of side snackages. With such a small menu it's obvious that a lot of time and care goes into the ramen here. It's in English too! No excuses. #1 - Nagahama Ramen - tonkotsu (pork bone) broth, with tender pork slices, noodles and pickles on the side. $10. #2 is the Char Sui Men, the same as number one but with extra pieces of pork. $13. The pork bone broth here is divine, one of our favourites outside Japan. A side of fried gyoza (Japanese dumplings) - $7. Chewy and not too oily. Get in quick because the days on this arcade must be numbered, dig the construction in the background. I used to fart around here as a gromet: getting my flattop buzz-sawed at Graham's barber shop, loitering at Brother's Neilsen surf shop, joy. This little arcade has a couple more Japanese and Korean joints, as well as Chinese and bubble tea. There's also another Japanese place across the arcade we will try on our next jaunt north. We come back for another shot in Christmas 2012. Man'o'man this place has still got it, it's still our favourite ramen in Australia. That broth is nice and porky but not overly rich or thick. The old Lido Arcade is still going and is still a top spot for our kind of eating. There's a Japanese curry shop here now, as well as a new ramen joint which we hope to try next visit. This place is still one of our all time favourite ramen joints. 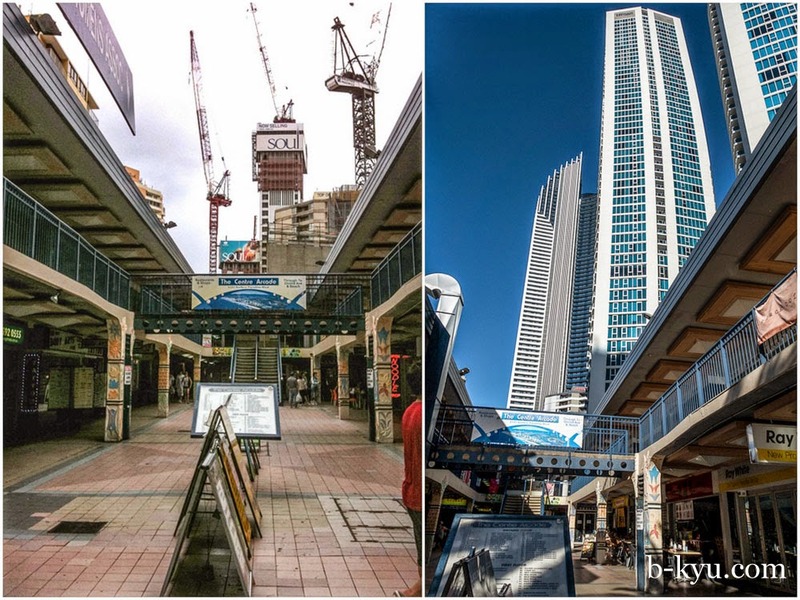 Hakata Noodle Shop is at Shop 26, Centre Arcade, 3131 Surfers Paradise Blvd. Opening Hours: Mon-Sun 9am-10.50pm. www.hakatayanoodle.com. The Dolphin arcade went a few years ago and this one is just clinging on. Southport seems to be the new hub of Asian food on the GC, mostly Korean, as the student wave hits - they even have an Ichi-Ban Boshi. i've recently tried Ton Ton in george st city, behind KFC, the taste and flavours are close to hakataya.. we've only tried two ramen from their menu though... :) have fun! Mmmm - thanks Julius - must try that one - thanks!